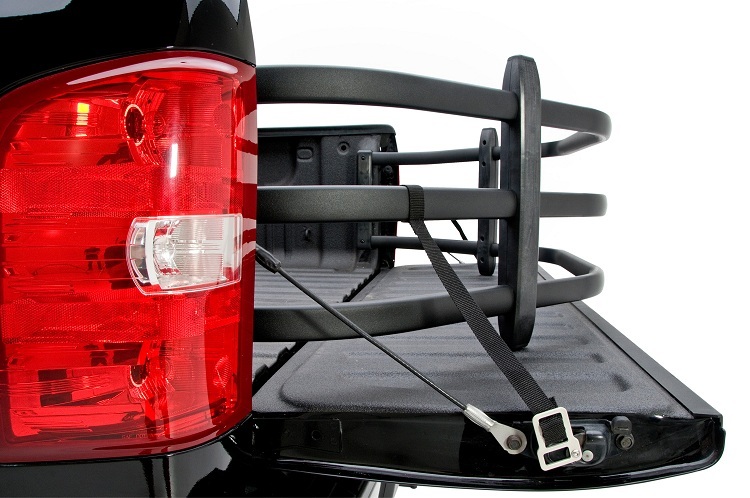 The Bed X-Tender HD Flipping Bed Extender by Amp Research is probably the most useful accessory you'll by for your truck. Chances are you've seen one on a friend or co-workers truck. This new version of the Bed X-tender is heavier duty and easier to assemble and install than the original Bed X-Tender. The Patented rounded rectangle tubes are more durable and don't ding and dent like the cheaper knock-offs. 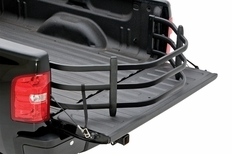 The Bed X-Tender HD instantly adds 2 feet of usable length to your truck bed. 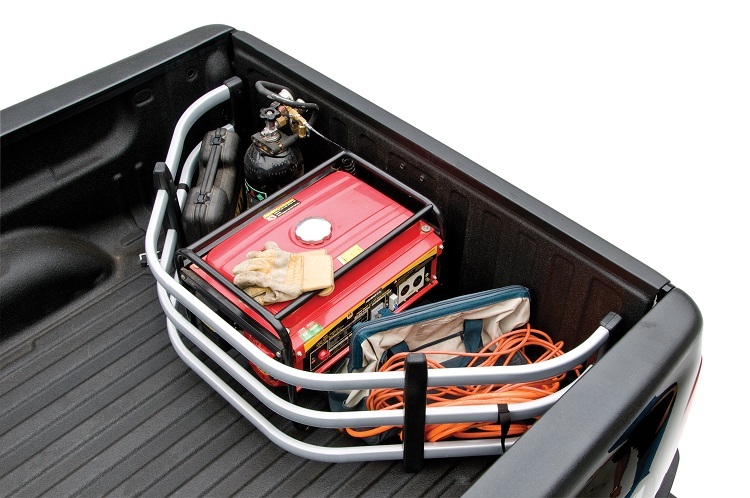 When you don't need the extra length, the Bed X-Tender HD effortlessly flips forward into the bed of the truck giving you a protected area to put groceries, tools, or anything else you don't want sliding around in the rest of the truck bed. Attached nylon straps hold the bed extender down when "flipped out". This flipping truck bed extender takes about half an hour to install and you'll need to drill a couple of simple holes for the brackets that the Bed X-Tender HD hooks into. The installation is not complicated and most people without automotive knowledge can successfully complete the installation quickly and easily. You can click on the "Video Demo" above to see more information on this fairly simple installation. The Bed X-Tender HD is available in your choice of a powder coated Silver or Black that is built to withstand the toughest elements. Crafted in the USA and backed by a 3-year/36,000 mile warranty, it's incredibly light weight, yet strong enough for the average person to sit on. The part number for this item is 74803-00A or 74803-01A (depending on your color choice) and it fits 2006-2009 Lincoln Mark LT models. � The Bed X-Tender HD is constructed from lightweight, super strong 6063 T6 aluminum alloy tubing for a long life and great durability. The rounded rectangle design is patented and won't ding and dent like cheap knock-offs. 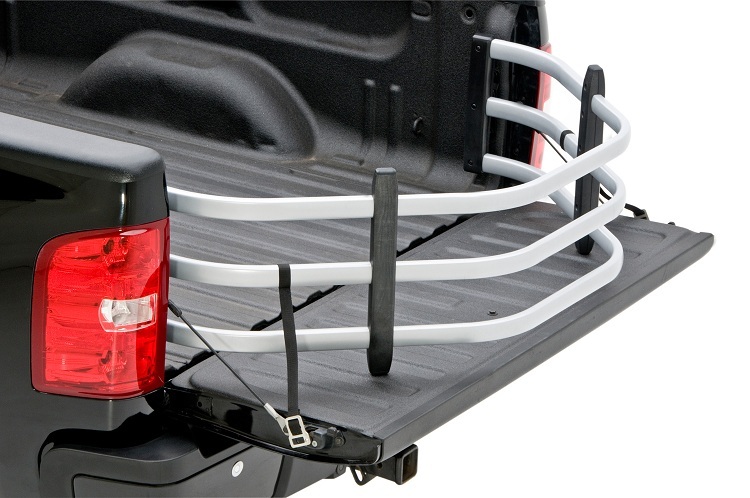 � Instantly adds up to 2-feet of length to your truck bed, or flips into the bed of the truck making a great spot for groceries, tools, etc. � The Bed X-Tender HD is available in your choice of either a Durable Black or Silver powder coat finish. � Your Flipping Bed Extender HD is backed by a 3-year warranty. � Made in USA � AMP Research products are designed, engineered and exclusively manufactured by AMP Research in America: No cheap imports here!